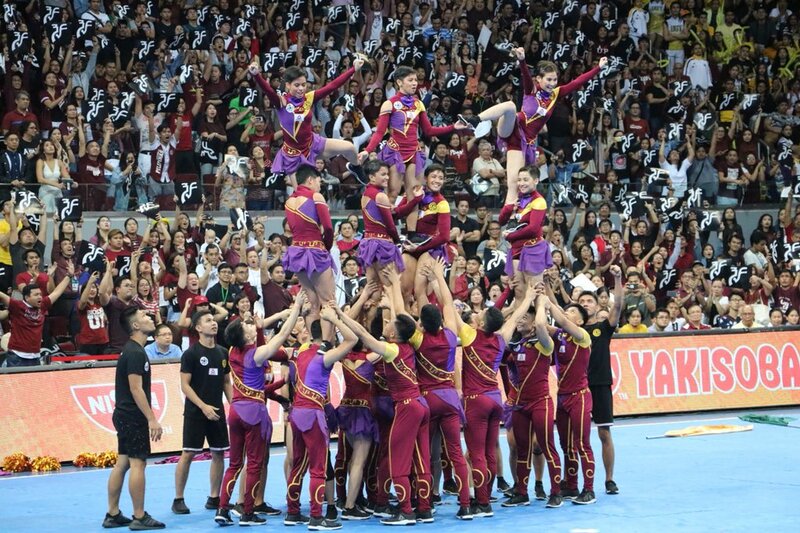 MANILA, Philippines - All eyes on University of the Philippines (UP) Pep Squad on Saturday, December 2, as the country's national university returns to the UAAP Cheer Dance Competition after a one-year absence. However, the eight time winner of the competition failed to regain supremacy after the Adamson University Pep Squad won the CDC crown with 663.50 points. UP Pep Squad settled for sixth spot with 575.50 points. The University of Santo Tomas (UST) Salinggawi Dance Troupe and the University of the East (UE) Pep Squad ranked second and third, with 638.50 and 634.50 points, respectively. Last year, the famous squad did not appear on CDC stage following a controversial result in 2015. Instead, UP competed in the Asian Cheerleading and Dancesport Competition. “Last year, ‘di sumali yung UP because we were questioning some parts of the rules that were left unanswered. We really wanted an answer not because we wanted to prove something, but because we wanted to clarify things,” assistant coach Pio Opinaldo told ABS-CBN Sports. As UP returns in the tournament, they expect a tight battle with NU Pep Squad, FEU Cheering Squad, UST Salinggawi Dance Troupe and the Adamson Pep Squad.